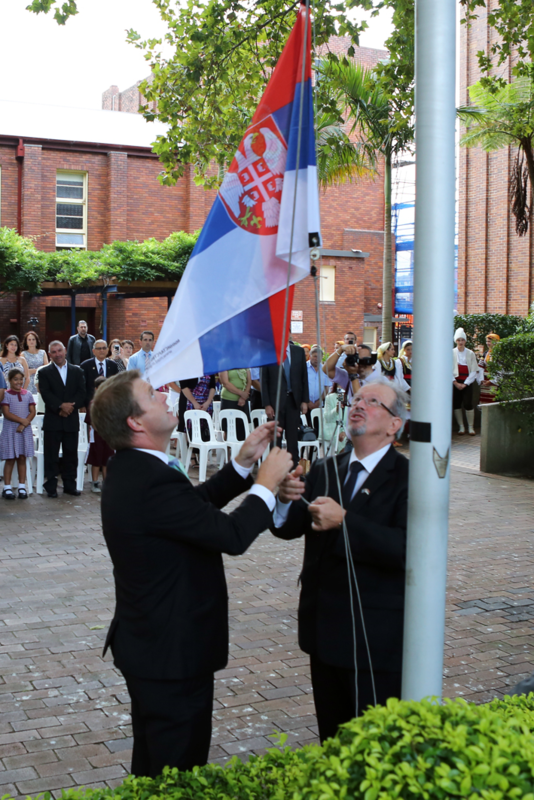 Rockdale City Council, 12/02/2015, the flag of the Republic of Serbia was raised for the seventh time in celebration of the Serbian National Day. The Serbian flag raising ceremony in front of the Council Chambers has become part of this council's tradition. It represents the acknowledgement and appreciation of the local authoroties, of the contribution made by the Serbian people who live and work in this area, in supporting Australian multiculturalism as well as their continuous efforts toward harmonious relations and tolerance between all the nations that live in Sydney. Video recording of this event can be seen on: RTS http://vimeo.com/119432871 and the local MIS TV https://www.youtube.com/watch?v=L-NEOJ48uAY.